Starting in 2013, Facebook allowed an app created by a then-unknown company called Cambridge Analytica to collect data from tens of millions of Facebook users, often without their knowledge or permission. In 2018, a co-founder of the firm blew the lid off the operation, ensnaring Facebook in a massive scandal and sending its stock plummeting. When corporate malfeasance or incompetence hurts shareholders, they sometimes resort to litigation—and indeed, Facebook’s investors are now suing over the data mining fiasco. If you ever find yourself in a similar situation, here’s what you need to know about investor lawsuits and your chances for success. What Is an Investor Lawsuit? An investor lawsuit is a legal suit filed by a group of investors against a company in which they own shares. Typically filed as a Securities Class Action, in this type of lawsuit investors must prove they suffered economic harm as a direct result of the company’s violation of securities laws. Investors have filed lawsuits in other instances where they alleged economic harm due to negligence or other illegal activity, but investors don’t always win. For example, in 2014 and 2015, fast-casual restaurant chain Chipotle’s stock dramatically fell as the company’s sales suffered during a series of foodborne illness outbreaks. Shares fell 47 percent over five months, a huge loss for investors. Investors lost big and sued Chipotle, alleging the company did not disclose changes to its business practices and a history of customer illnesses. In this case, the judge said the lawsuit failed to prove any specific instances of Chipotle executives knowing to make false statements or failing to disclose material information, so the lawsuit was dismissed. 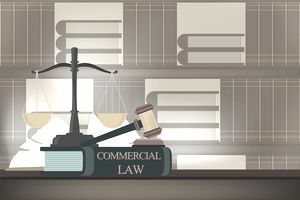 Filing a Securities Class Action is more complex than a small claims court dispute. These lawsuits are generally handled by experienced law firms, with a number of firms known for specializing in securities fraud and securities class actions. If you believe you, and other investors, suffered financial harm due to fraud, a lack of disclosures, or other executive actions, you can contact a securities class action specialized law firm to discuss the potential for a case. If you believe the company broke criminal laws, you may also check with FINRA to learn about other investor class actions that may have been filed. The biggest and most successful investor lawsuits were a result of a large fraud by executives. Enron, WorldCom, and Tyco International shareholder lawsuits all led to nine-figure settlements. Even for many non-investors, these massive cases of fraud led to the companies becoming household names. For an investor lawsuit to succeed, investors must prove that the company or its leaders made misleading statements or omissions that directly correlate to a significant drop in share price. When those two line up, the lawsuit is highly likely to succeed. An emissions scandal led to a lawsuit against Volkswagen and is a prime candidate for success. The widely known emissions fraud led to a major share price decline. Just keep in mind that a huge settlement could harm a company financially, so if you still hold shares they might go down, even more, when an investor lawsuit emerges or a large settlement is reached. Like tectonic plates slowly reshape the Earth below our feet, Federal government officials, judicial opinions, and new regulations slowly change how investor lawsuits can work. Trump administration officials are looking to limit the rights of investors to sue, which might make things a lot more complicated in the future. But for now, investor lawsuits live on in their current form, and Facebook is in the crosshairs. There are fewer businesses with a higher profile than Facebook, with its billions of users around the world. Here in the United States, many of those users are irate about how their information was used without their permission, but not as irate as shareholders that watched their shares tumble nearly $30 per share from $185 to $152 over 11 days in March 2018. No one knows how it will all pan out in the end, but investors may have a good case on their hands. Time will tell if this shareholder lawsuit leads to a big payoff, or if it is just a dud that will fizzle out as Facebook moves forward.